PAIN FREE, Laser Teeth Whitening. Up to 60% Off Today! 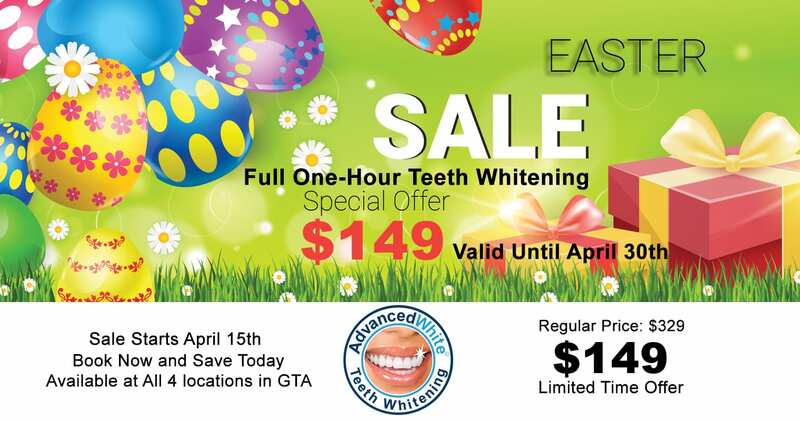 #1 Best Rated Value For Teeth Whitening In Toronto & GTA. FASTER, BRIGHTER AND WHITER SMILE IN 1 HOUR! call now 647-931-3332 to book your appointment or click here to book online. Natural tooth shade is possible by simply removing surface stains caused by factors such as tobacco, tea, coffee, and red wine. The restoration of the natural tooth shade is achieved by having the teeth bleached in the combination of laser light. 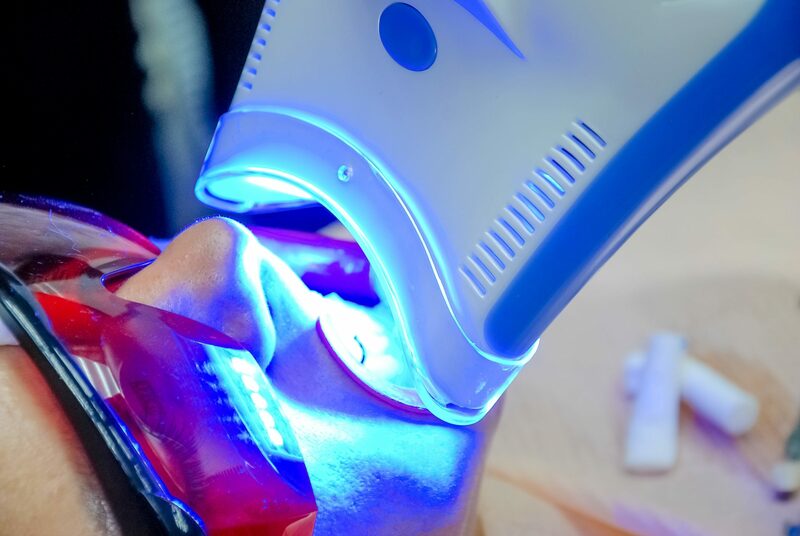 Power or light-accelerated bleaching, sometimes referred to as laser bleaching uses light energy which is intended to accelerate the process of bleaching in the clinic. Different types of energy can be used in this procedure, with the most common being halogen, LED, or plasma arc. A Brief History of Teeth Whitening The history of teeth whitening can be traced back to ancient times. In 3000 B.C. in order to clean and whiten their teeth, people used chew sticks. These were small wooden sticks that people chewed on, which helped scrape off the particles on the teeth. To whiten teeth ancient Egyptians used a mixture of pumice stone and wine vinegar to create a whitening paste. Even back then white teeth were regarded as a mark of beauty and wealth. Ancient Romans whitened their teeth with a bleaching agent made from the ammonia in urine. In the 17th century, people used an acid to whiten their teeth. Teeth were filed down and acid applied to them, only problem was tooth decay caused by this procedure. In the early 19th century, the discovery and use of fluoride in food and water caused people to have less cavities. 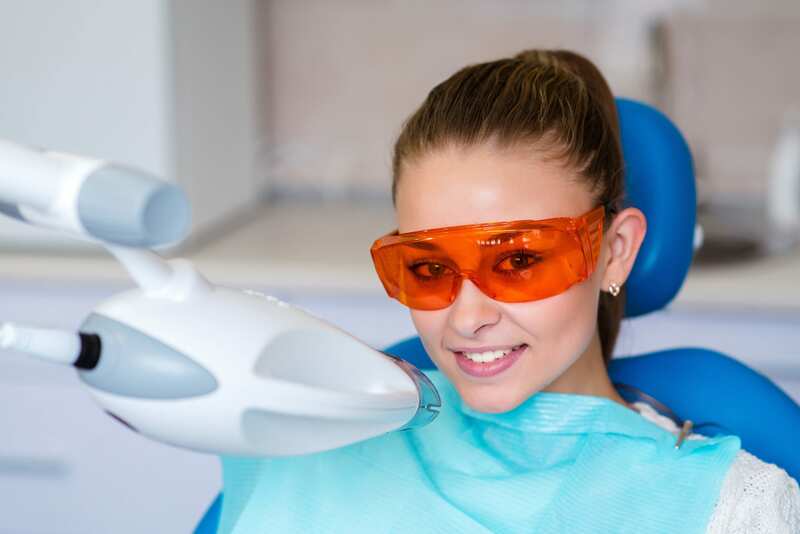 Teeth whitening has become a very popular and affordable cosmetic procedure that can help boost your confidence and make you appear. Depending on how white you would like your teeth to be, we offer 3 professional teeth whitening packages for you to choose from. Spa and salon owners, dentists, and customers all rave about the results of this teeth whitening treatment. We invite you to try our treatment. 1 HOUR, 3 TREATMENT, PAIN FREE, WHITER SMILE TODAY! FACT™ Technology applies all 8 factors to the problem of cleaning and whitening teeth. All factors must be at “equilibrium” in order to optimize the cleaning and whitening of any surface, be it teeth or be it clothing. In fact, just like laundry pre-treaters, the PRE WHITENING Swabs® contain all eight classifications of ingredients, not just one or two found in other teeth bleaching systems.